Word on the Streep: Shoulda Coulda Wouldas #15: "Feud"
A year and a half after my last post in this section, I'm writing only the second Shoulda Coulda Woulda for which I can find no evidence that Meryl was ever considered to be cast. Going back to as early as 2005, Ryan Murphy had snagged Streep to star in an adaptation of John Jeter's play Dirty Tricks. We all know that never came to fruition, and ultimately we've still never seen a pairing of Meryl with TV's reigning titan. Fast forward to 2016, when Murphy's series Feud was picked up by FX for an eight-episode season. Susan Sarandon and Jessica Lange had apparently been tapped to portray the two leads of Bette Davis and Joan Crawford, respectively. Back in 2014 I had commented in my reimagined history of Meryl's film career that the film Best Actress seemed like it would be a fantastic project for Meryl and Susan Sarandon. I even speculated that 2018 would be a reasonable time frame for release. 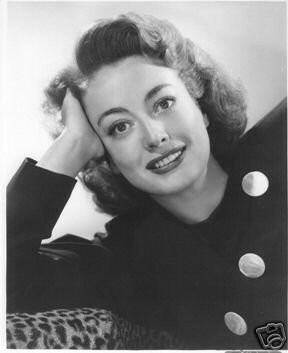 Murphy ultimately optioned the script, which had covered the lead up to Bette Davis and Joan Crawford's feud during their filming of 1962's Whatever Happened to Baby Jane. The series (I'll say limited series because although it was intended to have more than one season, it has not) premiered in March 2017 to high acclaim. As the script had been extended into a eight episodes, we were able to see a far more in-depth, detailed look at the characters and the events that brought everyone together for the production of this now historic film. Particularly, it's a showcase of the antiquated studio system of Hollywood, and how anti-woman it was, much less women over forty. This all reads like a wonderful project for Meryl. Of course Bette Davis would be a meaty part, but Susan Sarandon has such a likeness to her that the only option would've been Joan Crawford. Crawford was notoriously volatile and a somewhat tragic figure, owing to her troubled, abusive childhood. Part of me wonders if there would have been some raised eyebrows because of how traditionally beautiful she was--a feature that was regularly brought up the series. 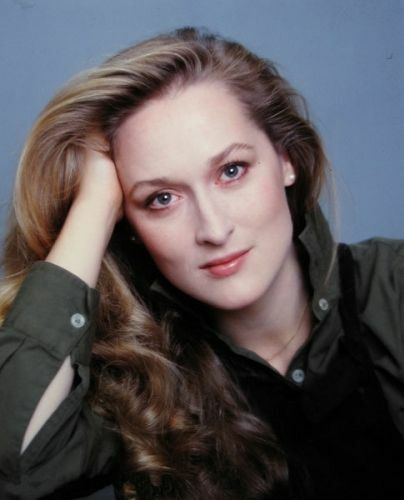 Jessica Lange certainly fits the bill for that, but how great would it have been to see Meryl super dolled up to be made as "pretty" as possible for the role? Couple that with the intensity of the character and you've got one of the best parts she could probably have asked for in her 60's. The fact that the best roles for women of a certain generation are increasingly being represented on television, I have to wonder if projects like Feud, American Horror Story, Big Little Lies and The Nix are what we can expect to see most from Meryl in the future. I wouldn't complain. Getting eight hours of her over the course of several months is more to relish than one hundred minutes of a feature film once year. I believe a collaboration with Ryan Murphy is inevitable! Especially because he was once president of a (literal) Meryl Streep fan club. I suspect his deal with Netflix will allow a project come to be. Still envisioning that The Nix will move forward once JJ Abrams wraps Star Wars or maybe it needs Ryan Murphy and Netflix to come to rescue. I hope you're right, Darcy!